Editor's note: This is the latest installment in AppleInsider's 2017 Year in Review series, recapping the biggest trends for Apple that carried throughout the year. 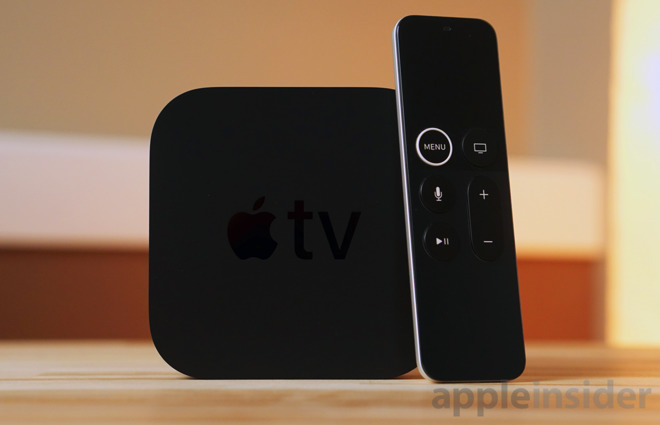 In 2015, Apple rolled out the fourth-generation Apple TV. While still a notable expansion upon the third generation unit because of the inclusion of user-installable apps, the biggest complaint about the unit was the lack of 4K support. During the iPhone 8 and iPhone X rollout event, Apple rectified the 4K omission. The Apple TV 4K uses the A10X Fusion processor, has 3 gigabytes of RAM, and either 32 or 64 gigabytes of storage. This all connects to the world either with 802.11ac Wi-Fi or a new Gigabit Ethernet Port, as well as HDMI 2.0. But, not only is the Apple TV 4K, well, 4K, it brought along HDR. For some, it still isn't the one box to rule them all. Dolby Atmos isn't included at present —but Apple has said that it is on the way. Samsung's HDR10+ will probably never come. The device's $179 price took some heat at launch too, but considering the original Apple TV in January 2007 shipped for $299, that seems pretty reasonable to us. We here at AppleInsider really like the Apple TV 4K. 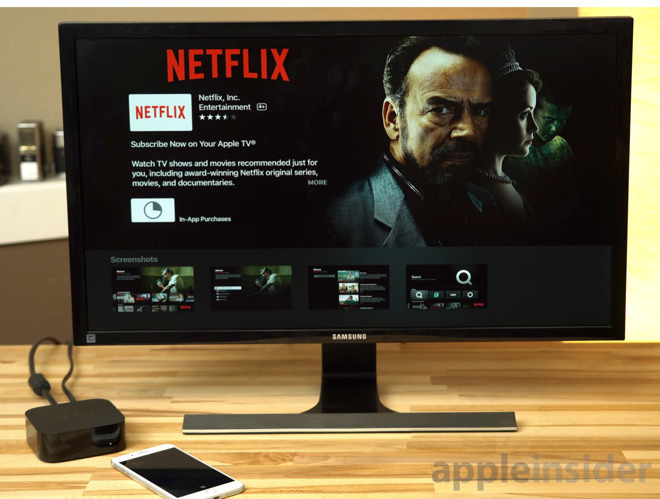 If you want a set-it-and-forget-it box for your 4K television, HDR or not, and you have at least one other Apple device, get the new Apple TV 4K. There is little to not like about it. Even if you don't have 4K, you're future-proofed for a few years at least and the power of the A10X is nice. The second and third generation Apple TV had Apple-blessed services. Things like Netflix, MLB.TV and more were available, with Apple pushing new channels to user's devices. The fourth-generation device opened that up to all developers, and not just a blessed few. Netflix moved from a service to an app, and just about every other streaming service did too. The end of 2017 also saw Amazon finally release its own app for Prime Video, after holding out for two years —all the while not selling the Apple TV because of "customer confusion." It also opened the door for third-party video players and streamers like Plex and VLC —making it a more flexible device overall. Apple has been selling movies through iTunes for a long time. At a single click or tap, a wide array of Hollywood blockbusters were and are available for streaming or download to a device. However, with the appearance of 4K HDR video, Apple decided that it wouldn't allow downloads of the 4K files to iTunes for later streaming. Whether this is an Apple decision, or one foisted upon them by the studios is unclear. On one hand, a 4K video won't take up massive amounts of storage space, since the H.265 4K videos are in excess of 5GB per hour of content. On the other, customers with capped bandwidth are going to have a problem if they watch a lot of 4K video. Also, Apple recommends 25Mbit download speeds at a minimum. If you can't make that kind of speed, you won't get the 4K stream. In 2017, Apple rolled out some of its own unique video content. What we got, wasn't that good. "Planet of the Apps" was early in the year, and was widely panned. Apple's interpretation of James Corden's "Carpool Karaoke" wasn't much better. This isn't the end of Apple-produced video content, though. After a rash of executive hirings from a number of Hollywood studios, Apple has a lot on tap. Zack Van Amburg and Jamie Erlicht, formerly of Sony Television are said to be tasked with securing "around a dozen" original TV shows, with four of them known. A recent move by Apple in sourcing unique content is a new morning show-related drama starring Jennifer Aniston and Reese Witherspoon. Also, Apple has reportedly given a blank check to Drake to produce whatever shows or movies he wants. In October, Apple signed a deal with Amblin Television and NBCUniversal to revive "Amazing Stories," an anthology science fiction series created by Steven Spielberg that ran for two seasons in the 1980s. Apple is expected to air 10 episodes, spending over $5 million on each show. More recently, Apple signed a deal with "Star Trek" and "Battlestar Galactica" reboot alum Ronald D. Moore to pen a new space drama. All four ventures are believed to be part of a broader $1 billion investment in original video programming, concentrating on big-budget dramas similar to "Breaking Bad" or "Game of Thrones" in impact, if not in explicit content. 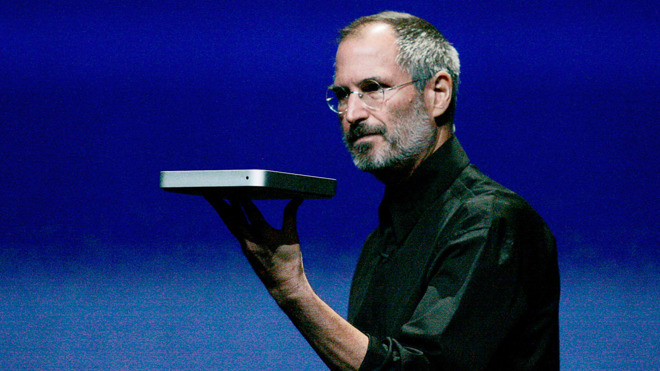 Steve Jobs famously said that the Apple TV was a "hobby" product for the company. Apple isn't talking about sales numbers, but given the update to 4K with HDR in 2017, it clearly isn't that anymore. But, how much of Apple's business remains to be seen. Video is obviously part of Apple's services growth plan —which has worked out pretty well so far. If even some of Apple's big-name video products work out in 2018, the hobby will have paid off.